Sometimes addicts are unaware of just how troubling their substance abuse problems have become. Others may recognize the situation they’re in and still believe they have a good enough handle on it to manage it alone. Then there are some substance abusers who avoid contact completely with anyone who may try to encourage them to seek help. In these cases, all of these addicts have something in common — they need help. Many times, family members and friends feel hopeless, like there is no chance of getting help for their loved one, but an addict who is unwilling to seek treatment is not a lost cause, and they shouldn’t be treated as such. With the help of skilled professionals in the field of intervention, you can assist in getting the substance abuser in your life into treatment and away from the harmful path of addiction. Some sources tout success rates of 80 percent or more from industry reports of employees required to seek treatment in order to keep their jobs, proving willingness isn’t a requisite component where intervention is involved. Widely recognized more than any other method, the Johnson Model is a direct form of intervention that focuses on getting the addict into treatment by way of personal confrontation. Loved ones often make the mistake of assuming the addict doesn’t care about their feelings. Most of the time, the substance abuser is just distracting himself from focusing on what he is doing to everyone he cares about, because it is painful for him to think about and leaves him feeling guilty and ashamed. The Johnson Model forces the addict to acknowledge his behavior and its consequences. Known in many circles as the surprise intervention, this model requires those who care about the addict to gather and attempt to get him to seek treatment on his own by telling the addict about the pain his addiction has caused. It is best suited for individuals who are not likely to shy away if they feel abandoned or isolated from their loved ones. In fact, relapse is of specific concern among Johnson intervention subjects, with Informa Healthcare reporting relapse rates of 38 to 79 percent among five types of treatment referral methods, with the Johnson model being the second highest in the group. Most often, the person who has been the primary caregiver in an addict’s life serves as the facilitator of the Johnson intervention, with the help of a professional interventionist to strategically plan the event. The Johnson Model utilizes direct threats of consequences if the addict refuses to get treatment. For example, a wife may tell her alcoholic husband she will leave him and take the children if he doesn’t get help. The hope is that the addict will become willing to seek help — even if he doesn’t want it — because he so badly does not want to face the stated consequences. The good news is that it often works. The Johnson Model intervention is most likely to be successful when more people are involved. The caregiver is responsible for gathering as big of a support group together for the planning and intervention process as possible. Generally, the interventionist meets with this group a couple times before the actual event takes place. The purpose of this is to iron out details of what to say, what not to say, and how the intervention should be carried out. While this model is straightforward, it isn’t cruel. Addicts are never belittled or put down for their behavior, but loved ones are encouraged to be honest about the choices they will have to make if things don’t change. Often, the threat of losing their friends or family members is enough for many to willingly seek the help they need. A former professional golfer, Jane Mintz, developed this method of intervention following her own stint in rehab for treatment of alcoholism. Knowing she wasn’t the only one struggling – the National Institute on Alcohol Abuse and Alcoholism reports that there are 17 million alcoholics in the United States – she was determined to formulate a new kind of intervention that was geared toward addicts with more than one factor at play. how to predict the actions of an addict and how to handle problems when they arise unexpectedly. Case in point, if an addict becomes violent during an intervention, the professional Field interventionist knows how to subdue her and get things back on track. Many naturally assume these are techniques all interventionists learn for all methods, but they aren’t, and Mintz recognized that in her pursuit of developing the field model. One of the ways Field Model interventions manage to prevent more disasters during intervention is by starting off on the right foot and making sure everyone involved is on the same page and feeling good about the task at hand. After all, it only takes one party feeling left out or unheard for the whole intervention to come unraveled. The systemic family intervention focuses on treating the entire family unit, not just the substance abuser. In this model, it is the interventionist’s role to educate the family on why they will have to change their lifestyles, too, if they want the addict in their life to get better. This method of intervention has become common knowledge in American households due to the popular A&E television show, aptly titled Intervention. The show boasted an alleged 71 percent success rate, per the Daily Beast, and allows loved ones to express to the addict what their behavior has done to others. Often, family members will be asked to write letters ahead of time that can be read to the addict during the intervention. This model recognizes that the addict isn’t the only person getting hurt by drug and alcohol abuse. Likewise, the addict isn’t the only individual perpetuating the behavior either. Siblings, spouses, or parents may be fueling the fire, and often they don’t even know they’re doing it. Unresolved issues in the family unit that are allowed to fester frequently end up being discovered at the root of an addiction problem. The typical ways that families deal with an addicted relative are often quite contradictory to what they should be doing. While families certainly have the best intentions, punishing an addict for using drugs doesn’t encourage him to stop, nor does praising or rewarding him if he does stop using. One of the biggest complains addicts in recovery have is that their family won’t stop treating them as though they are still using drugs or drinking. The systemic family intervention works on communication within the family unit and rebuilding bonds of trust to prevent suspicions or mistrust on either end. Addicts are much more likely to be honest and stay sober when they feel respected and valued by their friends and family. With this form of intervention, the process doesn’t end after the addict enters treatment. Instead, the focus remains on healing the whole family and preparing them for when the addict returns home. This may include taking mild precautions, such as not drinking around an alcoholic relative, or it might be more intense, such as seeking weekly counseling with the addict to work on behavioral modifications or communication skills. One of the biggest differences between other interventions and this one is that the addict is invited to partake in the intervention process from the start. There are no surprises or hidden agendas. Of course, the addict must be willing to take part in it, which is a potential drawback of the systemic family intervention. Not only can crisis interventions urge the addict to seek treatment in a time of desperate need, but in some situations, professional interventionists can also get substance abusers committed — even against their will — if they are a threat to their own well-being or to someone else’s well-being. The biggest and most common reasons for this are violence against others and attempts at suicide. According to a report from the Nation’s Health, 78 percent of violent crimes involve drugs or alcohol. In substance abusers who fail to get the help they need, the suicide rate is as large as 45 percent, Psychology Today reports. The crisis intervention process is carried out in a very direct manner. Usually, there is little time to waste sugarcoating the situation. In many cases, the addict is confronted about her substance abuse behaviors and the side effects of such. Then she is given the choice to proceed to treatment or face more dire consequences. A crisis intervention is most often not a lengthy or planned event. Rather, an interventionist is brought in when things are at their worst and the addict has hit the infamous rock bottom. This may be at a police station, at a bail hearing following an arrest, or even in the hospital following a drug overdose, something 38,329 people died from in 2010, per the Centers for Disease Control and Prevention. This approach is more emotional and attempts to appeal to the addict’s feelings toward his loved ones. These interventions are carried out in places that the addict will feel comfortable and find non-threatening, such as his childhood home where his parents still reside. Knowing that families often disagree in these situations, especially in environments they feel safe in, the interventionist serves as a mediator and guide during the process. The Love First method doesn’t involve accusations or negative statements. Instead, family and friends gather in support of treatment and express their unconditional love for the addict. The goal of this method is to encourage the addict to want to seek help for himself once he realizes the support he has and the many reasons he has to get better. At the same time, the support network learns how to be positive and encouraging, rather than placing blame and arguing. At the root of the Love First method, it is believed that some addicts can enter treatment without being pushed or bullied into it. Many concerned family members and friends of addicts are inclined to try and cut corners by performing interventions themselves. The problem with this is that the intervention process is usually too harsh, most likely due to inexperienced laypersons attempting to practice the professional trade of intervention with no knowledge on how it really works. There is a psychological process involved that requires solid education on the process. Watching videos on the Internet and television shows detailing other accounts of the intervention process cannot be directly translated to another person’s situation. The National Institute on Drug Abuse notes 8.9 percent of the American population needed help for a drug or alcohol abuse problem in 2012, and only 1 percent got the help needed. You can help your loved one become part of the 1 percent. The end result hoped for in any intervention is seeing the addict accept help and enter treatment. While each method is different, one factor remains the same — the sooner the addict is placed into treatment following the intervention, the better. For this reason, a bag should be packed and travel arrangements should be made ahead of time in most cases. We can help you determine the best method of intervention for the person in your life who is struggling. 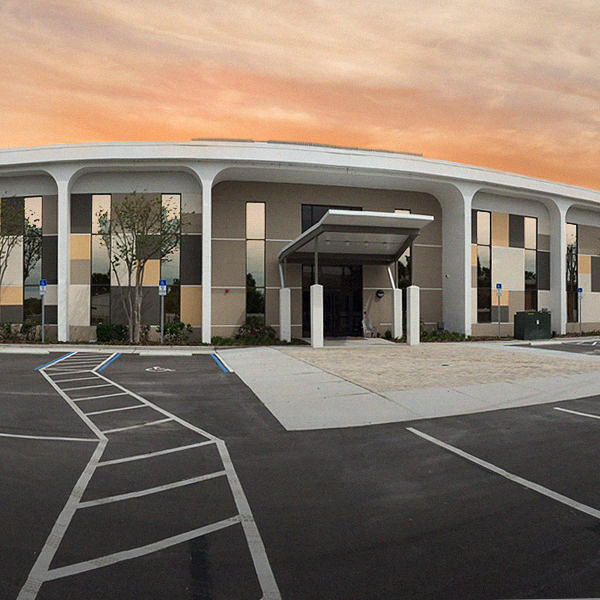 Orlando Recovery Center is the perfect place for substance abusers to regain their self-confidence and pursue a life of sobriety. 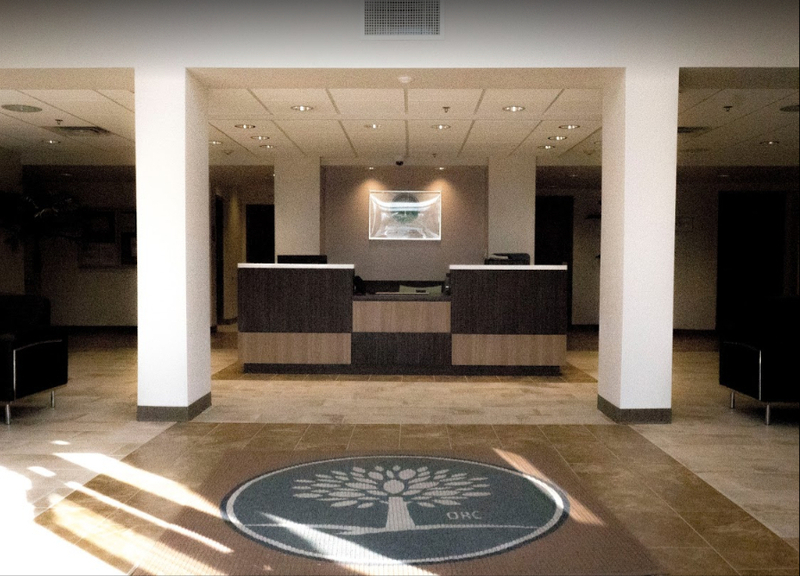 Call us today for a no-strings-attached assessment and let us show you why we’re a leader in the field of addiction treatment.